Hello everyone and welcome to the Thankful Thursday Blog Hop. I am always so thankful for each of you that visit me on a regular basis and for those of you who are new to visiting our blog. Y’all really are special to all of us! We are especially thankful that dear Easy called us friends. We love you Easy, heck, the whole darn world loved you pal. Run free dear boy, you left us all way too soon. Today though, in order to celebrate all of you, I’m hosting a Giveaway. Actually, I’m hosting two (2) separate Giveaways today, one (1) specifically for USA Residents and one (1) specifically for Non-USA Residents. Okay, just so we’re clear, if you live in the USA you can only enter the USA Residents Giveaway and if you are a resident of any country other than the USA you can only enter the Non-USA Residents Giveaway. 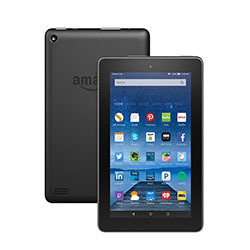 For those residents of the USA, we’re giving away a Kindle Fire Tablet, 7″, 8GB, to one lucky winner. For residents of any country other than the USA, we’re giving away one Curious Cat Cube to one lucky winner. Entering is easy, just leave a comment on this blog post and tell me what you’re thankful for today, then enter via the appropriate Rafflecopter down below. The deadline for entries is Tuesday, December 6th at 12:00 Noon EST. Thanks for being here and for just being you. Remember, adopt cats, we deserve it!!!!! More Forever Homes More Often! Purrrrr! Zip! Later! Darn, I wish I could enter for the cat cube! Maybe I can make my human get one if she wins the tablet. Okay, I wanted that cat cube so much, I accidentally hit that entry instead of the tablet! So you can disqualify me for the one I’m not actually qualified for. Wow, those are fantastic prizes. I’m thankful that the neighbor’s black cat doesn’t come by every day. She freaks me out! Oooh i want the cat cube too! We never know how to do rafflecopter. So we leave our comments here. We are thankful that we seem to be getting along better. Now that om has said that, we won’t! That is a wonderful giveaway, Brian. I am thankful that I am still getting more good days than bad and for every day I get to spend with my mum and dad. I am also thankful for all my friends and the support and love they give me. 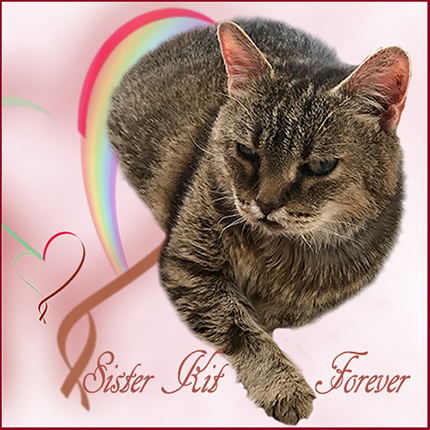 We are thankful to have known Easy too, we are so sorry he is at the Rainbow Bridge now. We sure are going to miss seeing him around blogville. Wow, those are two great prizes to win. It was just so sad about Easy. Hope you all made it through the storms all right yesterday. I saw that it hit Simpsonville pretty hard. We were fine. Just lots of rain and wind. I’m thankful that over 40 cats were adopted from PAWS last month! And that our cats at home, Mickey Mouser and Rufus the Red, are healthy. Sending our sympathy and love to Easy’s family. Those are great giveaways indeed. We are thankful for all blogpals at our wing and a roof over our head, that is always nice. Today I am thankful for a warm house in this cold weather. Thanks for the giveaway. Have a great day. Nice giveaway Brian. So sad about Easy. The tablet would be a great win. 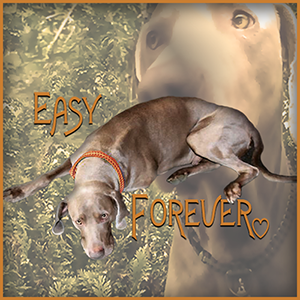 I am so sorry to hear about Easy. 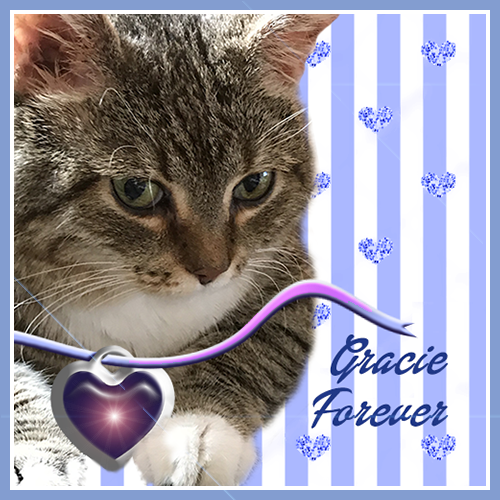 I am thankful for my group of happy loving cats and the comfy warm house we have to live in with them… I rafflecoptered via facebook. Brian, this is Katie’s mom. I am intensely grateful to be here to comment. A year and a half ago , it did not seem that I might be until I got my heart fixed up. I am grateful and thankful each and every single day for the skill it took for my surgeon to help me. I hope I win. 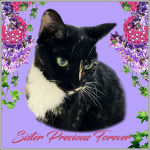 But if I don’t I still get a chance to say thank you to each of you who purred and prayed for me. What great giveaways! 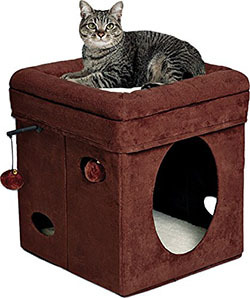 Who wouldn’t love that cat cube! Thanks for you! Oh Brian this is a fabulous give away! Things are kinda bad here for the humans but she is thankful so very thankful that we are all doing pretty darn well and that eases whatever bleakness there is. Brian, how nice that you are having giveaways! I am thankful for The Hubby and for Angel and Chuck, Sweetie and Patty O’Malley. I am also thankful that I am gainfully employed, and although it’s been a crazy week, I have risen to the office challenges and learned a ton of stuff in the meantime. Oh Brian, we are so fankful fur all of you. We are so blest to have your furmily in our lives. WE have made so many amazin’ furiends in Blogville, Easy among them, but ya’ll will always hold a special place in our hearts. Big hugs to all and purrayers. We’re thankful for our blogging friends that value and love cats (and all animals) just as much as we do. We’re so glad you dropped by and left a comment because we couldn’t remember what we forgot today – to actually come over here and enter the blog hop. Now we have. This is amazing, Brian! We already have a Kindle Fire but we would love that cube! So, we would like to enter for it. Today, we are thankful, most of all, that our Tama-Chan is better. She gave us such a scare and we were all so worried. We are also thankful to have you and your wonderful friend as our friends. Thanks, pals! The greatest gift is your friendship. Hugs! Mee-you Brian wee are devvystated here about EASY doggie!!! hee was so-o kewl….yur tributte iss grate! An mee iss leevin a commint about thee cube!! BERRY BERRY KEWL an mee wood luv to have it here!!! An now mee sign off an get Ladymum do fly thee coptur ok???? Pee S: Pleeze tell yur Pappaw LadyMum iss ‘doin thee bankin today’, OK. Shee says hee will know what shee meenss……. Pee S S: Mee iss FANKFULL fur LadyMum luvvin mee an Mumma Mary-Ellen still beein inn mee Life an fur YUR Pawentss Brian! An mee iss FANKFULL that mee new EASY an that mee has so-o many furendss inn thee bloggie werld!!!!!! Wow, what awesome giveaways! I already have a pretty new tablet I’m happy with, so I’ll leave that to someone who might need it more. What a nice way to show your thankfulness – good luck to everyone! We will let the people who have a cat enter the non-US contest. 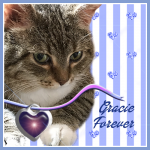 We am furry thankful to haves such wonderful friends helping us save so many kitties and looks after them. 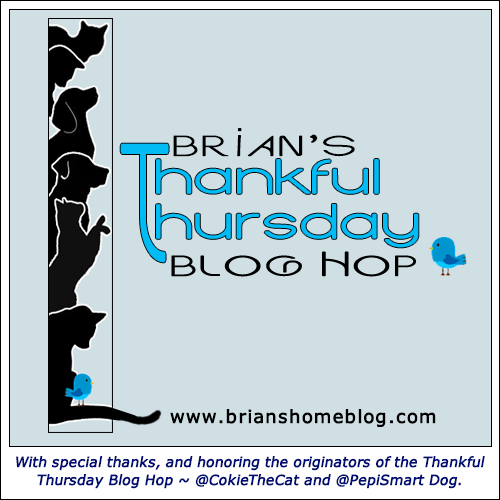 Brian, we am furry thankful that you stepped up to host Thankful Thursday – you are furry special. Sou grata por todos em nossa casa estarem saudáveis. We are thankful for our human Mom and Dad and the fact they got us from the SCPA. For our warm home and full bellies. All the love they have for us, the toys, beds, and pets they give us every day. And all of blogville. You all are so excepting of everyone. Thanks for the wonderful giveaway. Some great giveaways, and I know the non USA peeps will sure love it too! We love the cat cube! But we’re not eligible for that. Oh well. It’s really cool that you are doing this giveaway, Brian. What awesome giveaways! We won’t enter, but good luck to those who do! We are thankful for getting to know so many bloggers this year – you among them! We are thankful that we have a forever home. I’m so sorry for your loss. What a beautiful dog. Thank you for the giveaways, I put in an extra for the tablet. Have a wonderful December. I’m thankful to have a home, food in my dish and you as my furrend. I love the cat cube but with the Kindle, I can read Aunt Pauline’s books. I mean TW can read them to me. What a great give away! Would love to win! Love your blog❤️?❤️?❤️? I am thankful that I can help save animals lives by doing all I can do as well as welcoming many into my home. I am thankful for my furry friend Josie. She is a sweet girl that loves unconditionally. Animals are great! Also thankful for all blessings received and yet to come! I am thankful for my 2 kitty boys that share the house with me. I am sorry to be late for such a FAB giveaway, and it’s brilliant one is for non US readers. I am thankful, everyday, that I have a life and friends that are just a keyboard away. My peep feels just the same, and that surely is magical. We are with Erin and agree with her sentiments. We can’t remember if we entered before. If we did better delete us MOL!!! 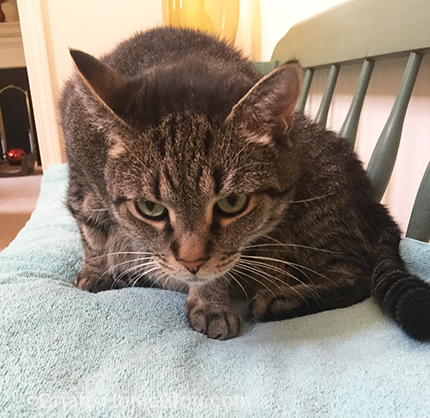 We are thankful for the Cat Blogosphere and all our friends we have met through it. Especially you and your family, Brian! What a great and special giveaway . 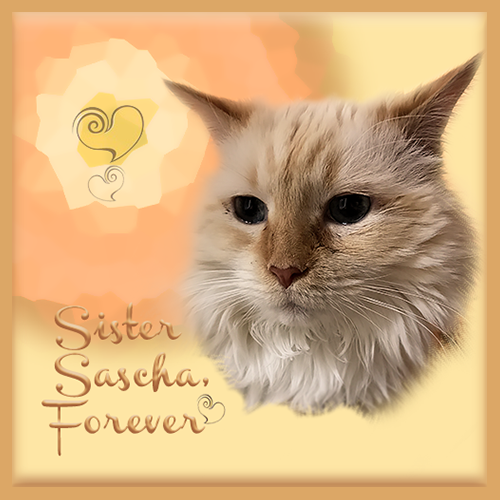 We are thankful that our 3 cats : 14, 14 and 15 are still healthy – jumping running, eating and lots of snoozing. Of course we are grateful for your wonderful blogs as well. That’s a pawsome giveaway. Hope I win.